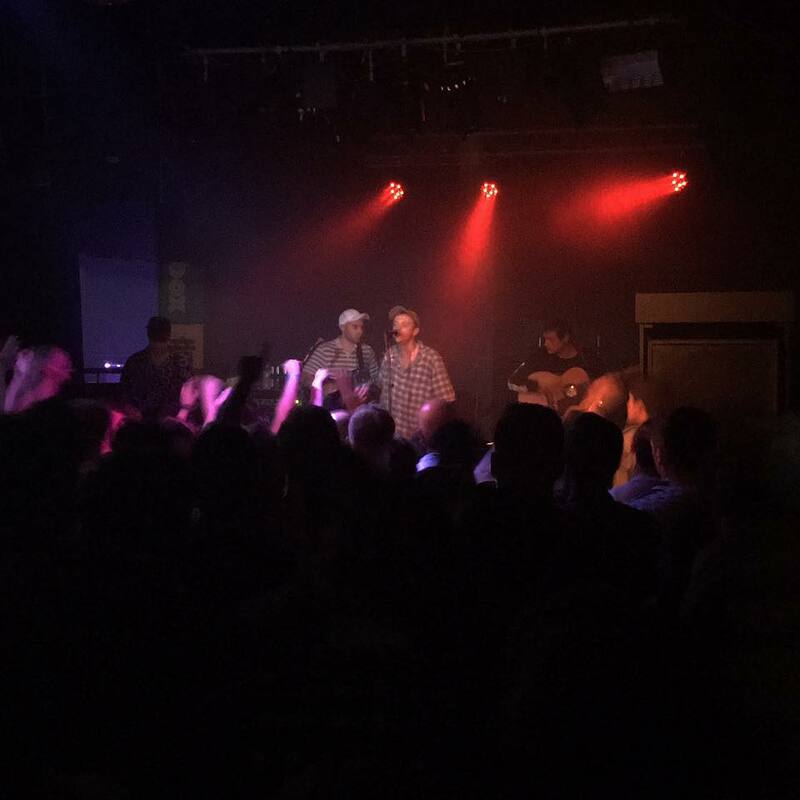 How incredible it must feel for a band to travel half way across the world and be so warmly embraced as DMA's were for their performance in Sheffield. When it comes to this band, I honestly have no words that can adequately describe just how phenomenal they truly are. Their album 'Hills End' is a masterpiece, and that's an understatement; when I see them live, they genuinely come across as such humble and understated performers and I can't help but get the feeling that they themselves do not realise the true extent of their greatness- but one thing is for sure, their audiences definitely do. I must admit, I'd expected this show to be in Plug's main room, so was a little surprised to find it was to take place in the smaller of the venues' rooms. That said, I do much prefer this room, and after only having seen the band live once before at Live At Leeds where they performed to a huge crowd in Leeds University's refrectory I was thrilled to be able to see them now in much more intimate surroundings. 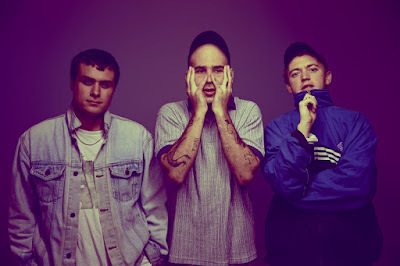 The crowd were chanting "DMA's" well over fifteen minutes before the band took to the stage, and when they did they launched straight into album opener 'Timeless'. Mere moments into their set and I think every single person in that crowd was thoroughly entranced and singing their hearts out- myself included, but thankfully for everyone else there my own poor vocal abilities blended into background! Atmosphere and crowd dynamics can make or break a show, and it has to be said that the atmosphere in the room was beyond electric at this particular gig and I could really tell that the band themselves enjoyed it just as much as everyone who'd ventured out midweek to see them. Some of their most well known tracks, such as 'Lay Down' and 'Too Soon' (which were two of the songs that first got me into their music) are exceptionally well received- but for me, the highlight was 'So We Know' which was performed with initially just frontman Tommy O'Dell, and Johnny Took and his acoustic guitar present. Guitarist Matt Mason, alongside the backing band, returned to the stage and jumped in towards the end of the song. It's one of my favourites from the album so I was virtually bouncing up and down with excitement to see it live and it was so, so beautiful. It was also fantastic, as always, to hear perhaps their most well known track 'Delete'- which is the first song I ever heard from them, and so always sticks out to me. 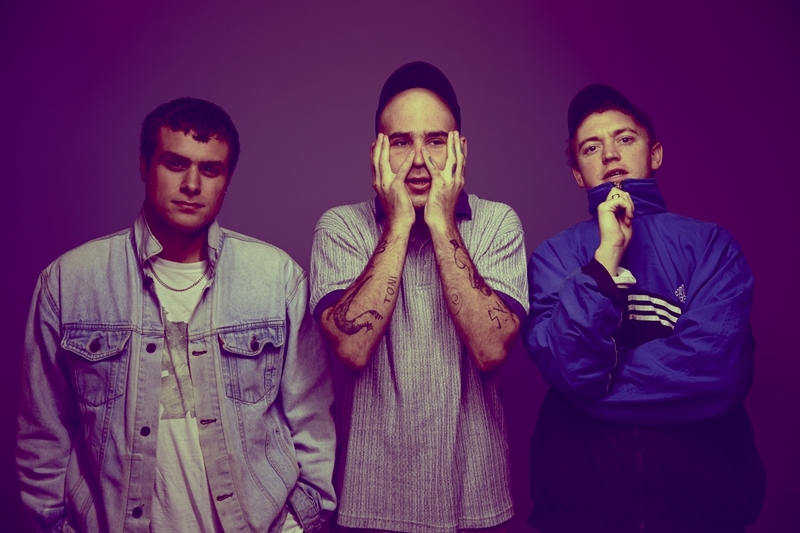 Early tracks 'Your Low', 'Laced' and 'Feels Like 37' are a welcome addition to the setlist and are definite crowd pleasers, probably acting to most as the perfect reminder as to why they got into DMA's in the first place. Admittedly, I probably spend more time than I should taking photos at gigs when I should just concentrate on the music, but on this occasion I barely had my phone out at all and I was delighted to see that the same went for most of the crowd. 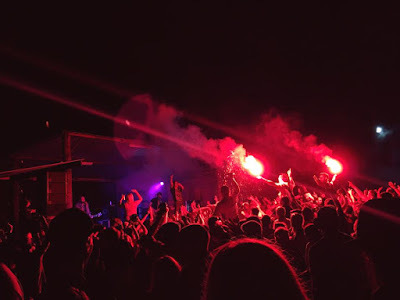 I'd be interested to see how others feel as to whether the effect is the same, but personally I can't help but feel as if to witness DMA's live is something very exciting, and very special... I feel as if this is a band on the brink of something extraordinary. Literally the only photo I got! It was somewhat touch and go as to whether I'd make this gig or not, due to work commitments, and I almost considered not getting tickets at all- but I am so glad that I did, because I don't hesitate in saying that it's one of the best gigs I've ever been to and I cannot wait until October when I'll be doing it all again upon their return to Yorkshire for their next UK tour. It was an absolute pleasure to attend Blackfest last weekend, an all day live music extravaganza set at the Blacksmiths Arms pub in Harworth, Doncaster. The festival is organised by some very dear friends of mine, John Alexander and Scott Howson- aka Ginger Beard Promotions. 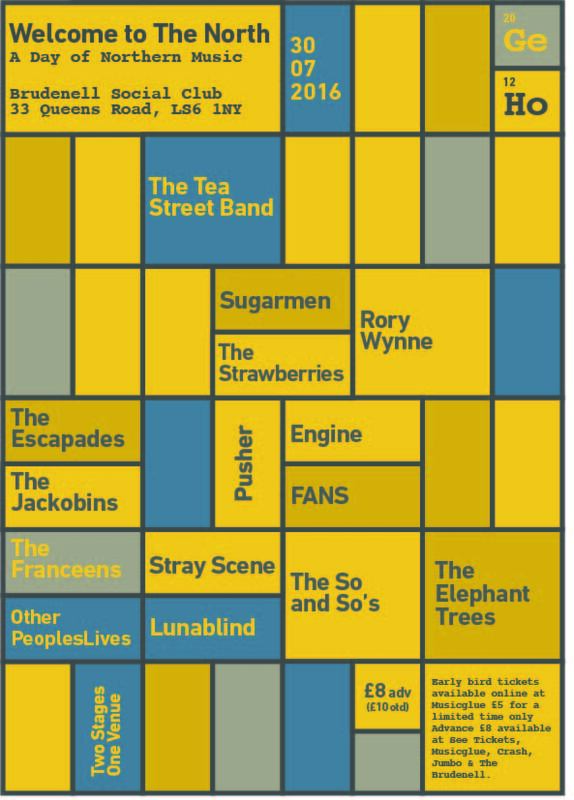 I must start by raving about these guys, because they truly are an asset to the music industry and do such a fantastic job of promoting up and coming bands from all over the country and providing them with some really great gigging opportunities. This is Blackfest's seventh year, but the first time I've been able to attend and I had an absolutely brilliant day. I arrived just in time to see The Kavaliers, who I'd been really looking forward to as I haven't seen them in well over a year. Since then, their live show has become bigger and better than ever before, and it was great to be able to hear some of their more recent music for the first time. However, the highlight of their set for me was most definitely 2014 single 'First Sign', which sounds just as bold and contagious now as it did when I heard it for the first time. Their huge and anthemic sound is somewhat reminiscent of Oasis in their glory days, and in my opinion this Doncaster based five piece are one of THE most exciting up and coming bands in Yorkshire right now. Next came The Stray Hounds, who are also from Doncaster. They have a very edgy and unique sound, as well as quite the stage presence- impressive for a band who only played their debut live show last month! 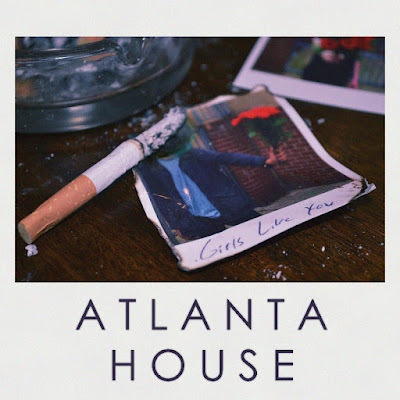 Their music has a real punk vibe to it, which I enjoyed; at the moment, there isn't much in the way of information or music available online- but it's early days, and I'm excited to see what they come out with in the future. Simple Poets travelled a long way from Kent to Doncaster in order to play Blackfest, and that alone showcases a real dedication to their art. 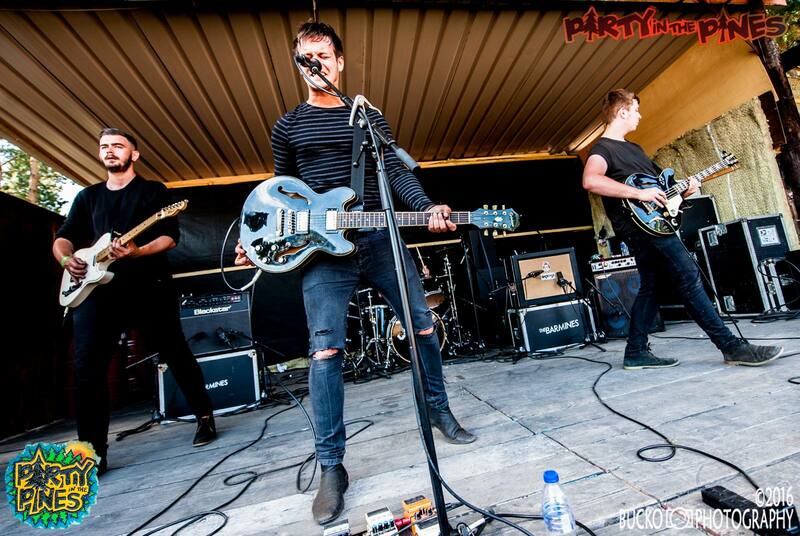 Their set was jam-packed with big, atmospheric yet charming indie-rock numbers. My newfound love for their music was almost instantaneous. Again, they're a relatively new act- but they do have a track available to listen to online; check out 'Bricks' below, so you can get an idea of just how good these guys are for yourself. Sabella are one of those bands that I'd heard lots about, but never actually listened to or seen live before. All I can say is... I really wish I'd jumped on the bandwagon sooner, because they are quite literally everything I look for in a band and I thoroughly enjoyed their performance. For me the standout track was their most recent release 'Hard Enough', which I've had in my head for days now. At the end of the set when John came on stage to hand out free CD's featuring this very track, I kid you not- it was like a stampede! Perfectly executed hooks and stylish vocals are what this band are all about, and the audience are extraordinarily receptive to everything they do. I've touched on The Barmines a number of times now since I started this blog, and despite the fact that I say this every single time I see them live, they're one of my all time favourite live bands and get better every time I see them. At the moment the highlights of their live set are the newest additions to it, new songs such as 'Control', '24/7' and 'Reliance' which showcase the band at their best and only amplify my certainty that they're going to be absolutely huge. I'd been SO excited to see Scarlet, since I've done nothing but listen to them over the past few weeks following the release of their latest single 'Your Control'. They've been on my radar since I saw them for the first time at last years Tramlines festival but it's only very recently that I can say that I've properly gotten into their music. Jessie Robinson is such a fantastic frontwoman and gave an incredibly charismatic performance which perfectly showed off her unique and melodic vocal talents. There's a lot of chemistry within this band which I think definitely adds to their stage presence, and after such a positive performance I am very excited for the release of their forthcoming debut album, 'Effigy' in October. I already knew former Catfish & the Bottlemen guitarist Billy Bibby to be an extremely talented musician, so I was very excited to see him perform before with his new band The Wry Smiles for the first time. It was such a fantastic experience, and they were most definitely one of my highlights of Blackfest. During his set, members of the audience came forward and danced in front of the stage and all throughout his set the atmosphere was so incredibly relaxed laid back. 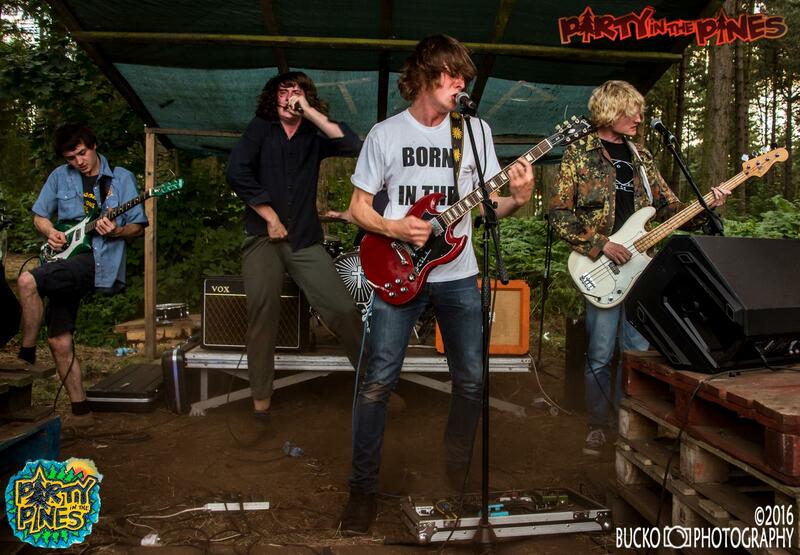 Their music is very feel-good and very well suited to the festival environment. I could tell that the band were genuinely enjoying themselves the whole time, and with tracks that are so memorable, catchy and well defined it's no wonder that their live performances evoke such warm reactions from their audiences. New York Tourists were my final band of the day, and I was completely and utterly blown away by their awe inspiring performance. Never having seen them or heard their music before, I wasn't sure what to expect- but I did have high hopes, due to the fact that I've heard so many wonderful things about them from friends. Seconds into their performance and I already knew that they were going to be good; stellar instrumentation and soaring, shimmering vocals make for an absolutely unforgettable, exulting and extremely energetic live show. I'll definitely be looking to see these guys again soon. 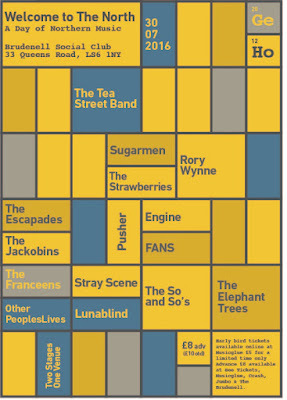 Tramlines went by far too fast for my liking, and I'm already finding myself looking forward to next years' festival. It all ended on a high on Sunday; I saw some pretty incredible bands once again, most of which I wasn't familiar with beforehand- so all in all, it was a day of discovery. On Sunday afternoon, the first band I saw were the fantastic JEKYLL at Crystal Bar, just one week after having first discovered their music when they supported October Drift in Harworth. They have a real distinct sound, perhaps mainly because of the easily recognisable vocals and impressive falsetto from frontman Joel Foster. They have the airs and graces of a group that have been performing together professionally for decades, an impressive feat for such a young band. In places, I'm reminded of early Muse, particularly in 'The Wounds We've Ignored', one of the tracks that can be found on their EP- and my personal favourite of theirs. In terms of their live show, it's always very atmospheric, not only due to the nature of their music but because of their phenomenal stage presence; there were a couple of occasions throughout their set where I quite literally stood there open mouthed and said 'wow'. I managed to catch the tail end of Atlanta House over at Tiger Works Bar, and even though I literally caught about two songs, I am still SO glad I managed to see them. This is a band who I've heard a great deal of good things about over the last few months, and now I completely understand why. Their sound is a unique fusion of charming youthful indie, and gritty rock 'n roll with a punchy punk edge. Despite having seen so little of their set, their chemistry as a band was immediately visible and I'm very excited to see them again in the near future- properly, this time! The next act of the day were another Leeds based band by the name of The Rook; again, I've heard many a good thing about them but never actually seen them live before. Suffice to say I enjoyed their set, and their music in general. They perform together with real ease and confidence, and ther music displays an impressive amount of maturity and sensibility. I was VERY excited to see The Elephant Trees live again. I really love bands with female lead vocalists, and it has to be said- Martha Phillips has one of the most incredible voices I've EVER heard. What always gets me about these guys is their obvious joy whenever they're performing; they're constantly looking to eachother with the biggest grins on their faces, which is both enduring and impressive because all of the best bands are built on friendships as strong as theirs. Neat and stylish melodies, captivating vocals and an utterly brilliant mix of acoustic/rock songs make this performance one of the highlights of my entire weekend. I headed back to Crystal Bar to see Allusondrugs, whose performance I'd been eagerly anticipating and who totally blew me away with their HUGE stage presence. Their genre of music isn't usually to my taste, but I think it would be impossible for anyone who saw this band live to not be impressed. Their live show is dynamic, fast paced and so energetic that I don't think a single member of the band stayed still for longer than a second throughout their entire set! A plethora of noise, mayhem and fun... these guys are a real musical force. Next came Kassasin Street, a Portsmouth based band with an ultra groovy and experimental sound which admittedly, based on first impressions when the band took to the stage, I hadn't really expected from them. Theirs was an entirely compelling performance, packed full of feel-good, melodic tracks that are incredibly well suited to the festival environment. I was pleased to finally get the chance to see No Hot Ashes live, after having heard their name time and time again through the grapevine over recent months. They have an incredibly polished sound, and come across as incredibly enthusiastic and able young musicians, which is so refreshing. Their set is packed full of deliciously infectious and upbeat crowd pleasers, which definitely makes them stand out from the crowd. My Tramlines weekend ended in THE best possible way... with Black Honey, who since I saw them for the first time at last years festival have become one of my absolute favourite bands who I just cannot get enough of. Frontwoman Izzy is one of the most mesmerising and charismatic performers I think I've ever seen and with opening number 'Spinning Wheel', she instantly has the audience wrapped around her finger. The band bring out a number of well known crowd pleasers in the form of previous releases 'Madonna' and 'Corrine'- both of which the crowd eagerly sing back to them- but for me, the highlight was the brand new (literally- as this was its live debut!) 'Hello Today'- which is introduced as their next single. I definitely recommend seeing these guys live while they're still frequenting the smaller and more intimate music venues up and down the country because there is no doubt in my mind that in years to come, Black Honey will be the name on everybodys' lips. Having them as the grand finale to a truly wonderful weekend made the pain of it all being over for another year just that little bit more bearable.